You know when you scroll through Pinterest for ideas and everything looks absolutely perfect? 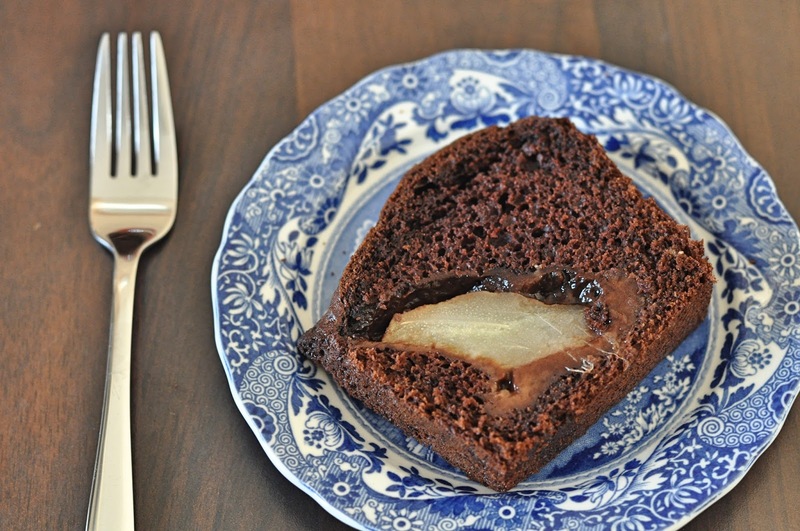 You know those loaf cakes with the top of some pears peeking perfectly out. It turns out that Pinterest is sorcery and it is not to be trusted. 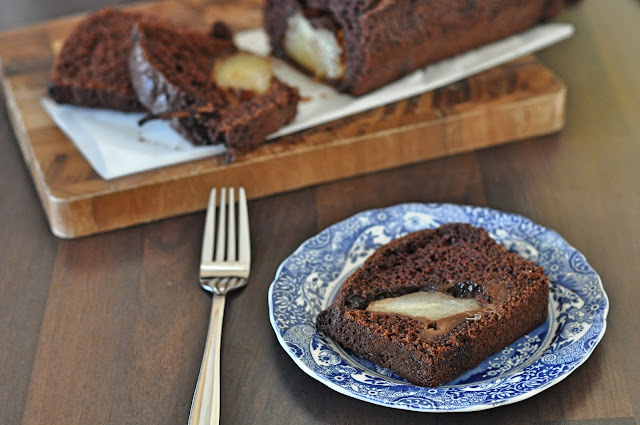 I tried it and was a little disillusioned to find that my loaf rose so much it covered the tops of the pears and they flopped to one side as if they'd drunk to much wine. 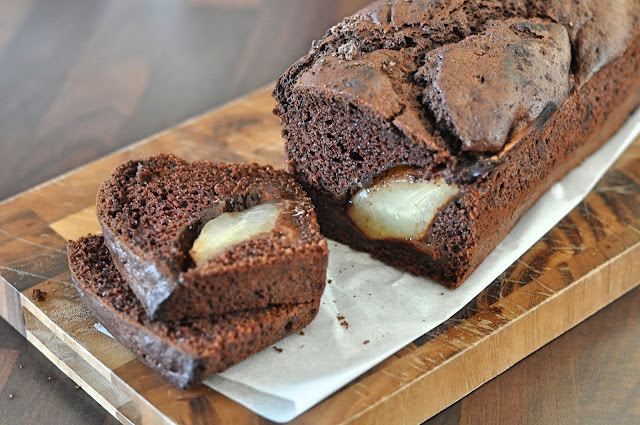 Unruly pears aside, I still love the contrast of the pear within the chocolate cinnamon loaf that each slice gives. My favourite way to serve it is warmed with a little custard or with a short, strong coffee for breakfast on a Monday. Just to make Monday's that little bit friendlier. And besides, it'll be one of your five a day. In a large saucepan, bring the water and sugar to the bowl along with the juice and cinnamon. Once the sugar has fully dissolved, add the pears and bring to the boil once again. Cover and leave to simmer for 20-25 minutes, until the pears are tender. Remove from the pan and set aside to cool. Heat the oven to 180 degrees and thoroughly grease a 2lb loaf tin. In a large mixing bowl, sift together all of the dry ingredients to remove any lumps. Take another bowl, add the wet ingredients and whisk also. Add the wet into the dry ingredients and fold in until you have a smooth batter. Pour the batter into the prepared loaf tin. In a shallow bowl, whisk together the tablespoon of flour, cocoa powder and half teaspoon of ground cinnamon until incorporated. Gently roll each pear in the mix until fully coated. Place the pears steam side up in the tin and push gently down towards the bottom. Bake in the oven for 50-55 minutes, until a skewer inserted into the cake comes out clean. During baking the cake may rise over the top of the pears and they may sink a little, but that's ok. They will still look good when the loaf is sliced. In place of buttermilk, I always make my own sour milk with 1 tablespoon of lemon juice but sour cream or yogurt would also work well. I think this looks great. I wouldn't have known the pears were hungover!